Geek & Sundry, Legendary Digital Networks’ digital entertainment company, has partnered with Dark Horse Comics to release a special hardcover edition of Critical Role – Vox Machina: Origins, the six-issue comic series inspired by the long-running Dungeons & Dragons series Critical Role. 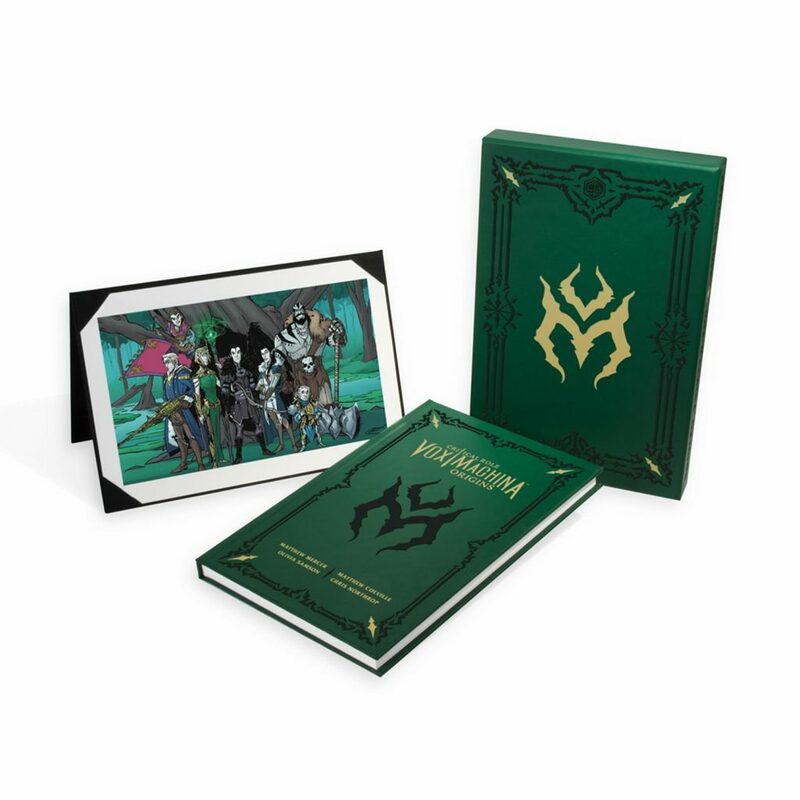 Both limited and standard editions of Critical Role: Vox Machina Origins hardcover can now be purchased from the Geek & Sundry online store. For further details and order information on Critical Role: Vox Machina Origins, please visit shop.geekandsundry.com. Receive a 60 day free trial of Alpha by using the code “DARKHORSE ” when you join! Alpha members also receive a special 10% off discount on all merchandise in the Alpha store. With over 160 pages of magical storytelling and bonus content, Vox Machina Origins brings together Critical Role: Vox Machina Origins #1–#6 in a single volume, following six would-be heroes as they uncover a plot to destroy the small coastal town of Stilben. The comic series is written by Matthew Colville (Evolve, Priest, Thief) with interior art by Olivia Samson, a member of the Critical Role fan community, and coloring and lettering by Chris Northrop. Published by Dark Horse Books, a division of Dark Horse Comics, Inc.